In honor of National Animal Safety and Protection month Island Conservation and Eventbrite encourage you to think about how you can help prevent extinctions. Have you ever wondered how you can help prevent the extinction of a globally threatened species? Island Conservation has witnessed the damaging impact of invasive species on islands throughout the world and we have dedicated ourselves to preventing extinctions of threatened island species. Invasive species are inherently damaging to their non-native ecosystems and can have detrimental effects for native species and overall biodiversity. Today, islands are home to nearly half of our world’s threatened vertebrates and historically 86% of recorded extinctions have occurred on islands with invasive species as a primary driver. Since 1994, Island Conservation has worked with local communities, government agencies, and other conservation organizations in hopes of preventing these extinctions. In honor of National Animal Safety and Protection month coming up in October, Island Conservation in conjunctions with Eventbrite hope to encourage you to start thinking about the ways you can positively make an impact on our planet. This month is set aside to encourage promote safe handling and care for both domestic and wild animals. How can you give back? 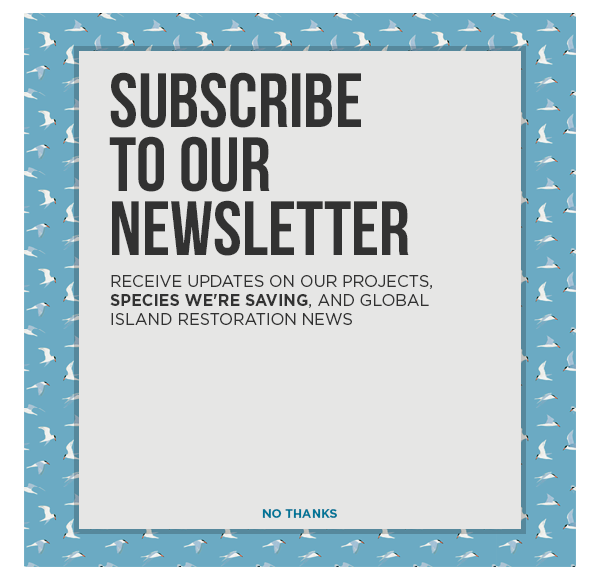 There are a number of ways you can support Island Conservation. Everything from a tax-deductible donation, to cashing in on your corporate matching gift, to shopping on Amazon Smile. Volunteering for Island Conservation is a rewarding experience which not only helps the organization but also allows you to learn from experts in conservation. Island Conservation has a number of valuable opportunities for those who want to lend a helping hand including assisting our philanthropy, science, and communications teams. We hope this has inspired you to start thinking about how you can give back during National Animal Safety and Protection month. Thank you to everyone who has supported us thus far. By working together, we can prevent extinctions around the world, but we can’t do it without your help!